On October 10, 2013, bank examiner Carmen Segarra and her attorney, Linda Stengle of Boyertown, Pennsylvania, took on one of the mightiest and interconnected institutions on Wall Street: the Federal Reserve Bank of New York. They relied on the Federal court system, funded by the taxpayer, and a fair and impartial judge to level the playing field. Things got off to a promising start. Segarra was a bank examiner at the Federal Reserve Bank of New York, a key regulator of Wall Street banks. She charged in her lawsuit that when she turned in a negative assessment of Goldman Sachs, she was bullied and intimidated by colleagues at the New York Fed to change her findings. When she refused, she was terminated from her job in retaliation and escorted from the Fed premises, according to her lawsuit. 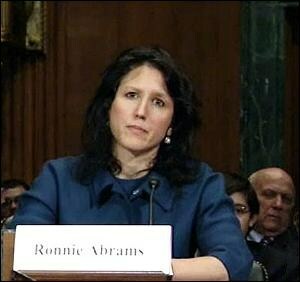 The case was assigned to Judge Ronnie Abrams, an Obama appointee, the daughter of constitutional law expert, Floyd Abrams, and sister to Dan Abrams, the well known legal affairs commentator on television. Segarra and Stengle scored an early, big win. The Judge ruled against the New York Fed’s efforts to seal parts of Segarra’s complaint and supporting documents. Then came two bizarre claims from the New York Fed. At this direct link from the FDIC, we see that Goldman Sachs Bank USA is a direct unit of Goldman Sachs Group, Inc., the bank holding company. We also see that the commercial bank has been insured by the FDIC since November 28, 2008 and its regulator is the Federal Reserve Board. If you click on the “Financials” tab, we learn that it holds $64,289,000 in deposits and has locations in five states. Under the “History” tab, it changed its status to “commercial bank” on November 28, 2008. The court, at this point, should have stepped back and reflected on the following: just five years ago, the U.S. taxpayer was called in to spew hundreds of billions of dollars into Wall Street’s teetering banks because of lax regulators seeking revolving door pay packages instead of conscientious oversight of toxic, over-leveraged gaming casinos. (As we pointed out in Part I of this article yesterday, the hubris at the New York Fed is a key part of this big picture.) The toll of that financial collapse lingers to this day in subpar economic growth and joblessness across America. If this Federal Court allowed a regulator to twist a Federal whistleblower law inside out and upside down, it would be sending a chilling message to every other bank examiner in America: keep your mouth shut or you too can be fired with impunity. It is surely “gross mismanagement” for the New York Fed to fire a bank examiner for reporting a violation at Goldman Sachs; it is surely “an abuse of authority” for a Federal regulator to tolerate the bullying of a bank examiner to get her to change her review of a bank; it is certainly a “substantial and specific danger” to the public safety of our financial system to grant regulators impunity to fire whistleblowing bank examiners. By refusing to provide answers to lawyer Stengle’s “reasonable inquiry” as to the history of her husband’s legal retainer from Goldman Sachs while simultaneously adopting the tortured reasoning of the New York Feds’ lawyers, an appearance of impropriety is clearly raised in the mind of the public. Davis Polk is advising affiliates of the Goldman Sachs Merchant Banking Division in connection with the consortium acquisition with affiliates of The Blackstone Group L.P. of Ipreo Holdings LLC from affiliates of Kohlberg Kravis Roberts & Co. L.P.
Davis Polk is advising Goldman Sachs’s merchant banking division and Vestar Capital Partners in connection with the acquisition of Hearthside Food Solutions LLC from Wind Point Partners. Financial terms of the transaction, which is expected to close in the second quarter of 2014, were not disclosed. Davis Polk advised Goldman Sachs International, HSBC Bank plc and J.P. Morgan Securities plc as joint lead managers on an SEC-registered offering on Schedule B by Oesterreichische Kontrollbank Aktiengesellschaft (OeKB) of $1.25 billion 1.625% notes due 2019. Davis Polk advised Goldman, Sachs & Co. in connection with a Rule 144A offering by InvenSense, Inc. of an aggregate principal amount of $175 million of its 1.75% convertible senior notes due 2018. In addition, Davis Polk advised Goldman, Sachs & Co. as the counterparty to convertible note hedge and warrant transactions. Davis Polk advised Morgan Stanley & Co. LLC and Goldman, Sachs & Co. in connection with an SEC-registered offering by Aon plc of $250 million aggregate principal amount of 4.45% senior notes due 2043. Davis Polk is advising an affiliate of Goldman, Sachs & Co. in connection with its $820 million acquisition of Ebix, Inc.
Firms offering comprehensive financial services scored a significant victory on April 9, 2013, when Judge Robert Sweet of the United States District Court for the Southern District of New York dismissed Capmark Financial Group Inc.’s (“Capmark”) insider preference action against four lender affiliates of The Goldman Sachs Group, Inc. (“Goldman Sachs”), which arose out of Capmark’s 2009 bankruptcy.1 Davis Polk represented the Goldman Sachs lender affiliates and advanced the arguments adopted by Judge Sweet. Davis Polk advised J.P. Morgan Securities LLC and Goldman, Sachs & Co. as initial purchasers in a Rule 144A offering by Accuray Incorporated of $100 million aggregate principal amount of its 3.50% convertible senior notes due 2018. Davis Polk advised Goldman, Sachs & Co. and Barclays Capital Inc., as representatives of the underwriters, in connection with the SEC-registered offering of 23 million shares of common stock of MRC Global Inc. sold by PVF Holdings LLC, an entity controlled by funds affiliated with Goldman, Sachs & Co.
Davis Polk advised Goldman Sachs Bank USA as lead arranger, bookrunner and syndication agent and Goldman, Sachs & Co. as sole book-running manager in connection with $3.8 billion of financing provided to Hologic, Inc. for its acquisition of Gen-Probe Incorporated. Davis Polk advised affiliates of GS Capital Partners, the private equity arm of Goldman Sachs, and Advent International on the $3 billion acquisition of TransUnion, a provider of information management and risk management solutions, from Madison Dearborn Partners and the Pritzker family business interests.